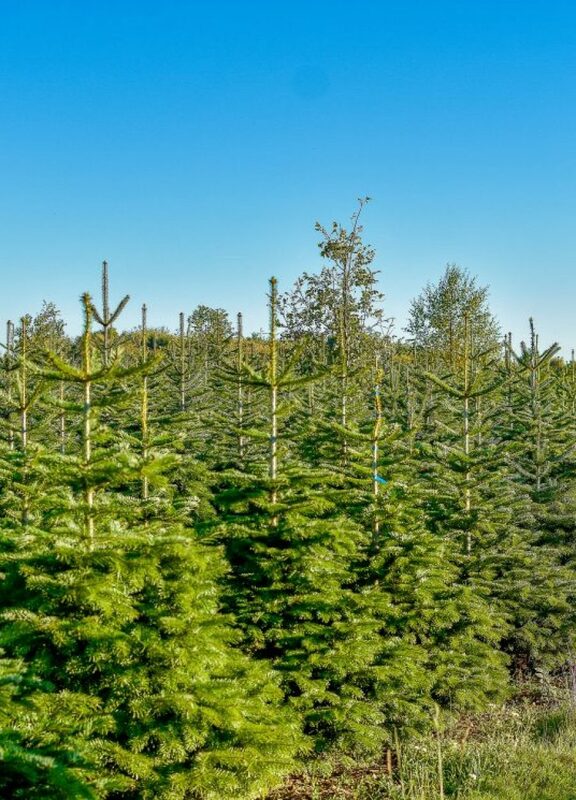 If you’re looking for an incredible wholesale service complete with stunning trees that will make your customer’s Christmases, look no further than our farm. We make the process stress-free with our many options. Want to pop down, pick your trees and take them away to be displayed in all their glory? You got it. Prefer a more hands-off approach? Let our experts know a little about your business and they’ll hop to it- selecting, cutting, expertly wrapping and preparing and dropping them off right at the point of your displays. We’re also proud to offer you the ability to create a sustainable Christmas display. Not only are our trees far better for the environment than any artificial display, we are also member of the British Christmas Tree Growers Association, meaning that all of our trees are grown using environmentally friendly methods. Why should you buy wholesale Real Christmas Trees from us?